Invisalign clear aligners are custom-made plastic aligning trays that straighten your teeth discreetly. These clear aligners are removeable, but they should be worn at least 20 hours a day for the best results. Your dentist will create a series of clear trays to slowly but surely shift your teeth into alignment. About every two weeks, you’ll change out your Invisalign tray for a new one that will continue to shift your smile into your desired position. Invisalign is used to treat mild to moderate misalignment. More severe cases of gaps, jaw misalignment, and straightening of your smile will have to be treated with traditional braces. 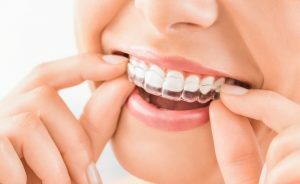 What Advantages Do Invisalign Aligners Have Over Braces? Deemed “invisible braces,” Invisalign’s biggest advantage is its appearance. Their see-through aligning trays enable patients to straighten their teeth discreetly. Their next most unique benefit compared to braces is they’re removeable. Whether it’s a first kiss or a family photo, you can take your aligners out for short periods of time. Since the clear aligners are removeable, you can eat whatever you want! With braces, you have to avoid hard or sticky foods that can get caught in and even break your brackets and wires. Using Invisalign, you can eat all your favorite foods, just remember to rinse your aligners and your mouth before putting the trays back in. Invisalign’s overall treatment typically takes a shorter amount of time to reach alignment results compared to traditional braces. The average treatment lasts around 12 months. In addition to the above benefits, patients also see an increase in self-confidence during their daily lives compared to braces. 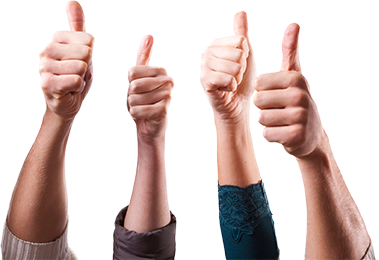 Smile confidence is a real thing that can affect emotions and even anxiety. Invisalign provides a way to straighten your smile, while maintaining your confident look. Are you ready for a beautifully straight smile? Now that you know the advantages of Invisalign over traditional braces, the choice is CLEAR. Contact your local dentist to get started on discreet alignment brought to you by Invisalign. Dr. William W. Way is a Richmond native who loves caring for patients in his community. 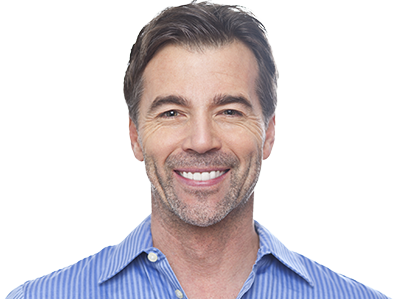 He offers Invisalign treatment because he understands the link between your self-confidence and your smile. He currently practices at Westhampton Dentistry where he can be contacted through his website or by phone at (804) 288-0948 for any questions.